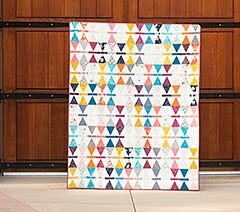 After finishing the baby quilt last week, I was feeling a little guilty that my son's quilt (using the same pattern) was not done yet. It needed to be quilted and I decided to practice my swirls. It is getting easier, and I found pockets where I would get into a good groove. Then I would get stuck. I used the needle down function so I could stop and figure out where to go next. At one point, I sewed right over a basting pin that I didn't see and broke my needle. Whoops! Let's not do that again. 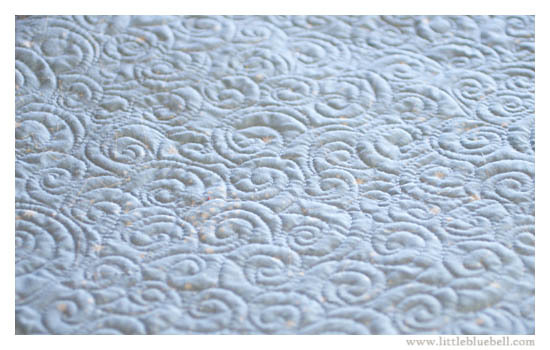 I really like the swirls, it has a rhythm to it that is more enjoyable than straight line quilting. Also, I think it adds a whimsical, dreamy quality to these stars. A hidden benefit is the workout it gave my arms. Quilting... oh yeah, feel the burn! Love the dreamy swirls. 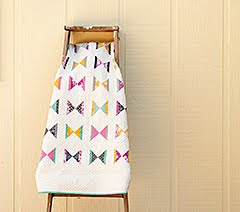 Lucky boy :) FMQ is my favorite kind of exercise. 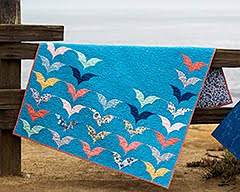 Love the colors you used and the quilting looks great with the pattern. 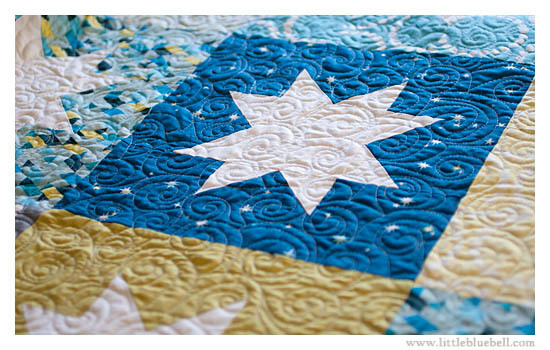 Your quilting looks awesome Adrienne! Yes, I know the burn! You are too funny! 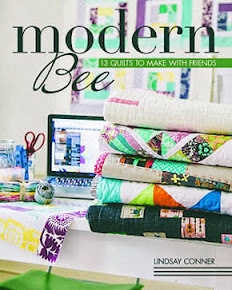 I just did a modern quilt all in swirls... and loved how it looked after. 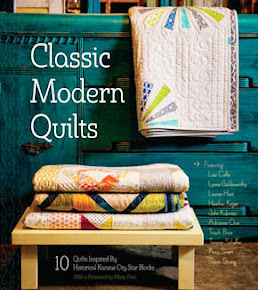 Very nice quilt and quilting! It reminds me of Starry Starry Night by Van Gogh! Your swirls look terrific! Nice work! Now I have the song Starry Starry Night running through my head! 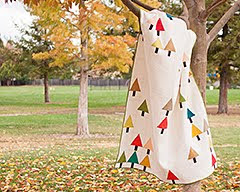 Your FMQ is really beautiful. I'm in awe. In colors on the snowy linen land."